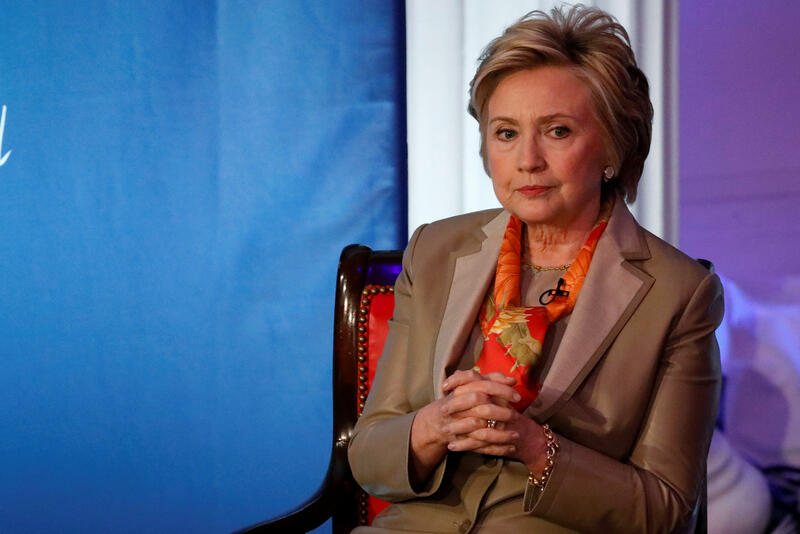 Hillary Clinton on Tuesday blamed FBI Director James Comey and Russian intervention in the election for her shocking loss to President Trump in last November's presidential election. "I was on the way to winning until the combination of Jim Comey's letter on October 28 and Russian WikiLeaks raised doubts in the minds of people who were inclined to vote for me, but got scared off," the 2016 Democratic presidential nominee said at the Women for Women International Luncheon in New York during a conversation with Christiane Amanpour. Clinton said that as Nate Silver has concluded, "If the election had been held on October 27, I'd be your president, and it wasn't. It was on October 28," adding that there was a lot of "funny business" going on. She said that within hours of the Trump "Access Hollywood" tape leaking to the public, the emails belonging to her campaign chairman, John Podesta, were released by WikiLeaks. "What a coincidence," she said. "The reason why I believe we lost were the intervening events in the last 10 days." At the same time, she said she takes personal responsibility for what happened and admitted that she and her campaign made mistakes. "I was the candidate, I was the person who was on the ballot and I am very aware of the challenges, the problems, the shortfalls that we had," she said. On October 28, Comey sent a vague letter to lawmakers saying that the FBI had discovered a new batch of emails that "appear to be pertinent" to the investigation into Clinton's use of a private email server while she was secretary of state. But then two days before the Nov. 8 election, Comey said that the FBI had not found anything new that would warrant charges against Clinton. During a conference call with donors just days after the election, Clinton suggested that Comey hurt her chances in the end. "There are lots of reasons why an election like this is not successful," Clinton said, the New York Times reported. But she added, "Our analysis is that Comey's letter raising doubts that were groundless, baseless, proven to be, stopped our momentum."